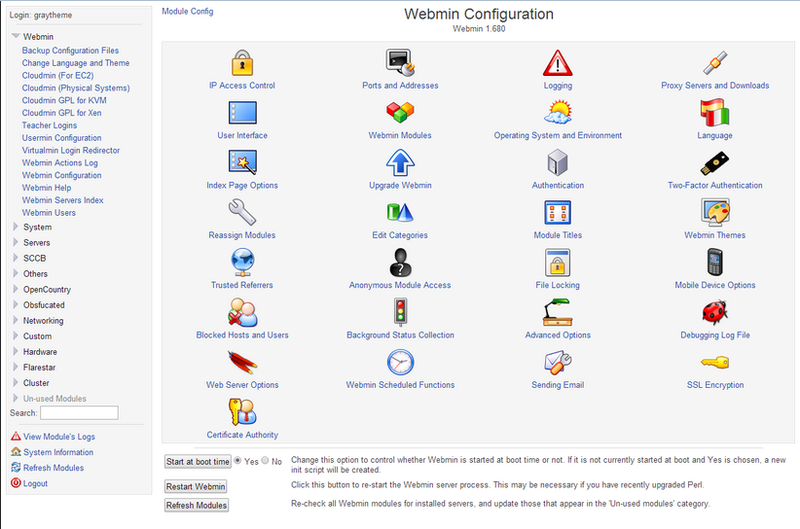 Webmin 1.801 is a web-based interface for system administration for Unix. Using any modern web browser, you can setup user accounts, Apache, DNS, file sharing and much more. Webmin removes the need to manually edit Unix configuration files like /etc/passwd, and lets you manage a system from the console or remotely. 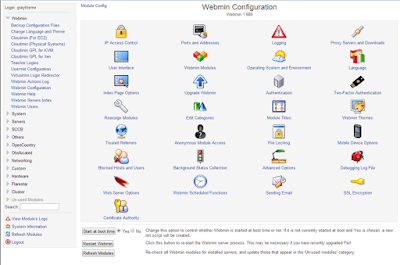 See the standard modules page for a list of all the functions built into Webmin. Fixed a security bug in the new Authentic theme. Added a recent logins section to the System Information page. When updating multiple packages, they are done in a single YUM or APT operation if possible. Added support for the network() source type for Syslog-NG. Added buttons to clone Unix users and groups.